SPY762R or 'Snowy' as he is know to his friends is a 1976 'R' series (R130) Dennis fitted with a Perkins V8 540 engine coupled to a manual 5 speed gearbox. 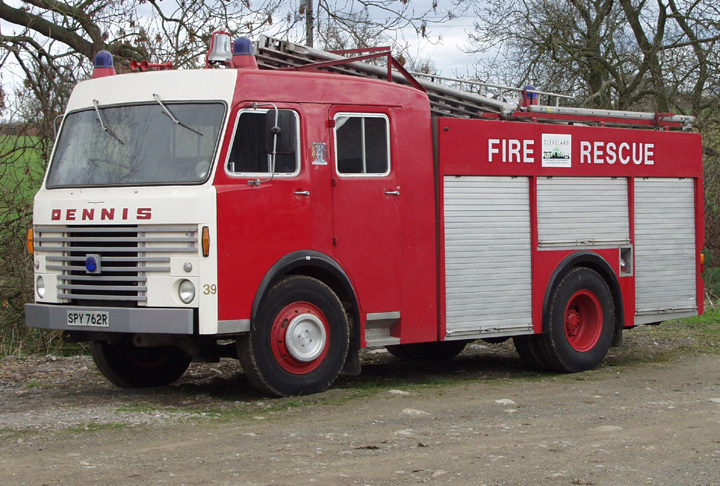 It was supplied new to Cleveland County Fire Brigade, and as with all of Clevelands machines it has the distinctive white painted front and red painted D-E-N-N-I-S. Standard warning equipment was both bell and two tone sirens. As most of Cleveland is primarily rural the bell was considered to be less aggressive whilst still affording sufficient warning capability.